Manatees, sea turtles and fish in the Sunshine State are dying in record numbers because of the unusually long cold snap. 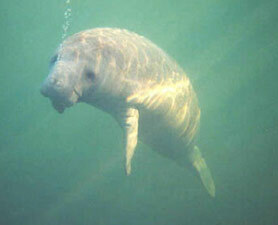 The cold weather is killing manatees, sea turtles, crocodiles and other animals. With temperature in central Florida dipping down again this week, conservationists are bracing for more animal and plant deaths due to unusually long winter cold snaps that have resulted in record wildlife losses. Manatees have been among the hardest hit, with over 200 killed in January alone, and carcasses continuing to wash ashore. The highest number of manatee deaths for a single calendar year in Florida waters is 429, so local officials are closely monitoring these endangered marine mammals. Fish experience similar problems, and widespread fish kills have been reported throughout the state. Multiple species, from small pilchards to larger snooks and tarpons, were affected. Young fish are particularly vulnerable. Dive teams have found the remains of numerous juveniles from fish such as barracudas, grunts, parrotfish and pinfish. Officials remain cautiously optimistic about endangered sea turtles, which can suffer from “cold-stunning” when water temperatures drop to less than 50 degrees for prolonged periods. Patricia Behnke, a spokesperson for the Florida Fish & Wildlife Conservation Commission (FWC), told Discovery News that “under such conditions, the turtles may be forced into a coma-like state.” It renders them nearly immobile at first and can eventually lead to death. Thanks to tremendous effort from FWC staff and volunteers, she said more than 4,500 sea turtles were rescued from the state’s chilly waters in January. The turtles were placed in warm salt water to revive them and allowed to recover. Nearly 80 percent of the rescued sea turtles have since been released. A benefit of the rescue effort is it has improved the ability of conservationists to monitor sea turtles. “We’ve been able to tag many more turtles than ever before, which enables us to learn about their biology,” explained FWC biologist Blair Witherington. A report recently issued by Dave Hallac and colleagues at Florida’s Everglades National Park determined that at least 70 crocodiles, more than 60 manatees, and countless plants, butterflies and snakes have died within the Everglades marshes and mangroves so far this winter. Hallac said the impact of the cold weather has been “substantial” in South Florida. But Behnke believes at least some of the snake deaths could help local ecosystems. Burmese and African rock pythons, along with other animals, are not native to the area and are considered to be “invasive.” Because they are tropical species, these animals have very low cold tolerance. Some Burmese pythons have even been found frozen stiff in the Everglades. Scott Hardin, the FWC’s exotic species coordinator, said half of South Florida’s python population might have died in the recent cold weather. He speculates that green iguanas, which are also considered to be invasive, have experienced dramatic population drops—literally, as some South Florida residents have reported witnessing dead iguanas fall from trees onto their patios. Behnke and Segelson indicated it could take months to fully assess the wildlife damage caused by this year’s winter weather. The fish, plant, insect and other deaths could impact additional species within those ecosystems, and it remains to be seen how the deaths of juveniles might hurt the ability of species to recover in the spring. Pingback: GORNOVA V: Bienvenidos a la Tierra » ¿Continúan los PREPARATIVOS del Espíritu de la Tierra?